Coffee and tea are two of the oldest drinks that people use for beverage purposes, but also as a way for relaxing and enjoying. At present, with the development of technology, there are many different soft drink types that are produced to serve this demand. However, inspite of the diversity and abundance, Coffee is still one of the top popular drinks in the world from Europe to Asia. Drinking coffee does not merely satisfy the needs for your thirst, but also an art. Art not only in the way of making, but also in the way of enjoying it. The series will give you different ways to make coffee on over the world, through which shows that in order for making a delicious cup of coffee is also very sophisticated and full of art. 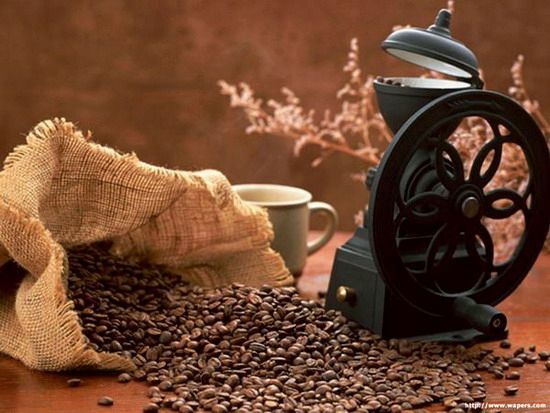 - The first method that we want to mention here is the coffee filter press, also known as French coffee. This type of coffee is known as French coffee, although coffee equipment invented by an Italian, then sold the patent rights to a Switzerland since 1933. A lot of people like to drink the coffee in this manner because it is fast and easy, and it can extract a lot of flavor from the ground coffee. 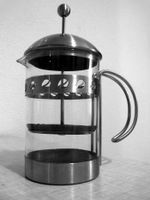 The coffee instrument consists of a glass cylinder (cylindrical glass container) and a filter that fits like a piston inside the cylinder. This instrument can also be used to make tea. Put the coffee powder into the cylinder, pour boiling water and stir for 4 to 5 minutes. After that, the coffee maker gently and slowly separate the powder and the coffee that was finished, by installing the piston-filter. The coffee is able to drink but it is not hot anymore. *** Tips: The advantage of this method is no need to use thecoffee filter paper each time. Attention, the ground coffee powder has to choose the medium size (medium ground coffee) would otherwise be prone to drinking coffee powder in the finished coffee. You should give about 1 teaspoon per cup of coffee is enough. Characteristics of this type of coffeebrewing are the brewed coffee is not thick and its flavor is very mild. This type of coffee is popular throughout North America, Northern Europe and France. 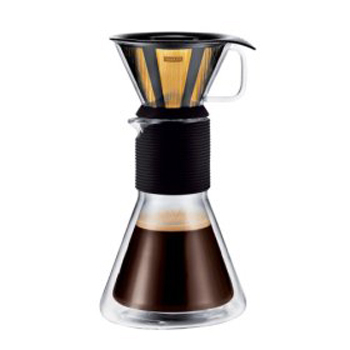 Today,in these countries people use a variety of drip coffee filter with funnel. Basicly, it consists of two parts, the upper part is a funnel made ​​of glass, plasticor metal, the bottom of a glass vase can be heated automatically by the small tool under the pot. In the funnel, it is placed a disposable paper filter tofilter out the coffee powder. *** Tips: to prepare this type of coffee,it commonly use unfine ground coffee, not smooth. In Europe, people use 1/2 tablespoon, but in the U.S., people raw 1 teaspoon spoon. For this brewing type, hot water is pouredover the ground coffee, coffee flows down by gravity. Get rid of automatic heating water and the warming coffee elements, people still can prepare coffeeby using the same type of filter paper placed in a common funnel hopper module, boiling water and then pouring it slowly over the funnel hopper. A wholeprocess takes from 6 to 8 minutes to prepare a light coffee, and slightly acidic. Address: 288 Sredang, of N'Thol Ha, Duc Trong district, Lam Dong Province.